IN 2018, ARTSPACE MACKAY CELEBRATES ITS 15TH BIRTHDAY. From its modest beginnings, the collection has now grown to include more than 1,200 works, with a particular focus on artists’ books. The gallery itself was purpose-built by award-winning architects Cox Rayner to showcase the region’s diverse environment through a regular program of contemporary exhibitions, activities and events. 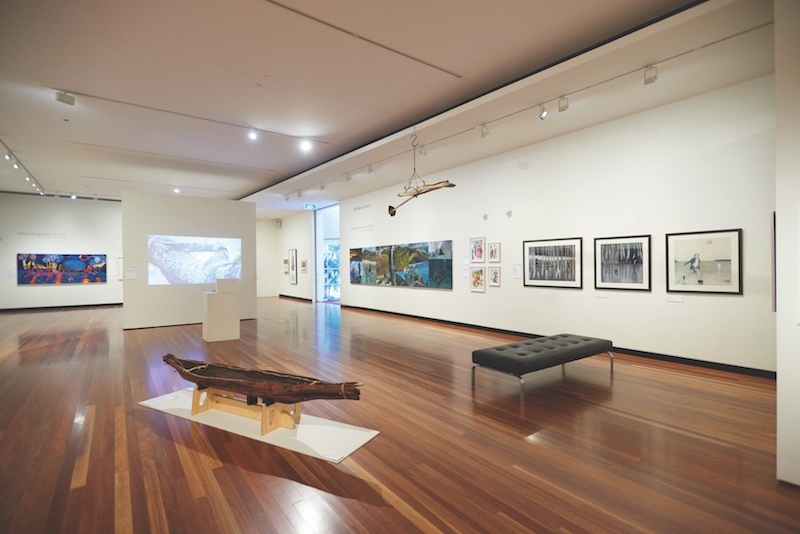 Located within the Mackay Regional Council Cultural Precinct, the gallery comprises three separate exhibition spaces, which are regularly filled with the works of local, national and international artists. These are complemented by a workshop room, reading pod, gallery shop and café. Regular programs include artists’ talks, art markets, guided tours, and a variety of practical programs and workshops for both adults and children. The Libris Awards is a nationally recognised, biennial competition that recognises significant Australian artists’ books. The competition regularly attracts Australian students and both emerging and established artists, who compete within four categories. It is open to all Australian artists. Each year, Artspace Mackay’s Rock Paper Scissors Art & Design Market transforms the gallery grounds into a landscape of stalls selling diverse wares from local artists, designers, foodies, musicians and craftspeople. Without fail, visitors to the market can expect to find fresh displays of handcrafted fashion, ceramics, jewellery and more from a diverse variety of stallholders.